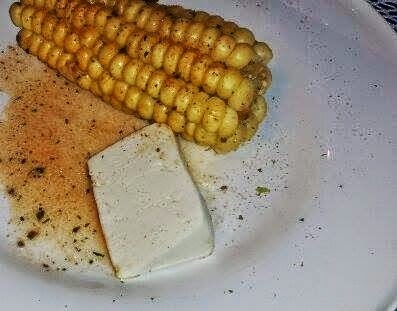 A little history about this dish comes from the person that was so kind to give me her recipe. My Tia Lidia, thought she is not my real aunt I called on her like one. Funny story is; she was the mom of my first boyfriend, and on a Valentine's Day she invited my mom and me to her home. My mom was reluctant, she did not wanted me to have a boyfriend. But surprise, surprise, when we were all having fun and sitting at the table, we start looking at pictures, and my mom and his mom were in the same picture at the age of 9 or 8. After that; they remember that they were best friends. Since that day to today they still best friends, I broke up with my boyfriend, but my mom and his mom are inseparables. I liked her so much that I star calling her aunt, and she became my daughter's God Mother. Thanks to her this yummy beans are here today, give them a try, they are amazing. Your kids will not be able to stop eating them. 1. 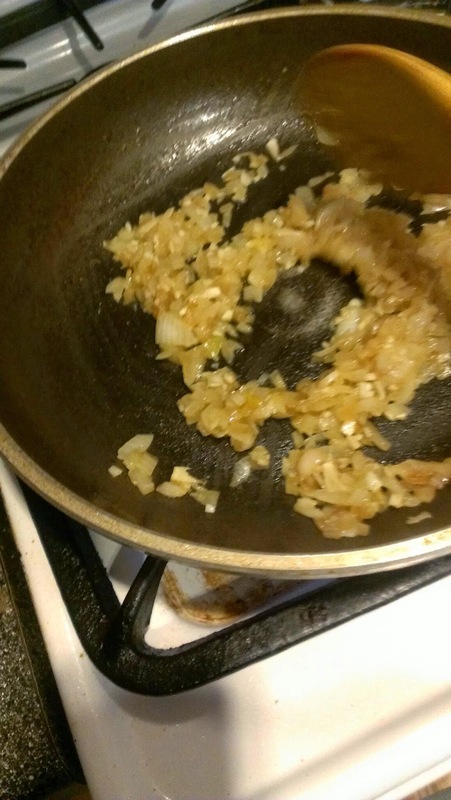 Start with the Sofrito, when you are sure that onions are soft and tender add the garlic, stir for a little less than a minute. 2. Incorporate the pork and turn the heat down to medium. 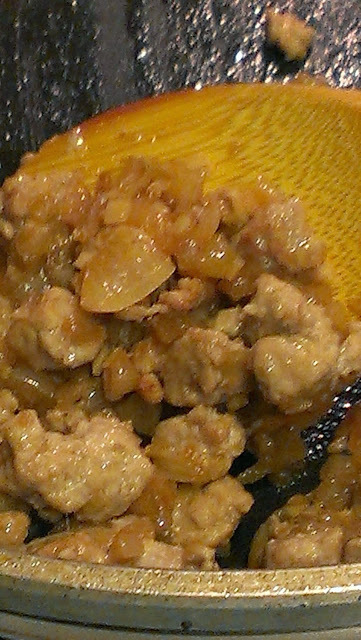 Keep stirring until the pork is cook, add some salt, not a lot. Add water if you need to, but not a lot just enough to prevent scorching the pot or pan. 3. When the pork is cooked, add the pecans, sesame seeds, mix and immediately add the sugar and the court bouillon. Cook stirring for a minute or two. 4. 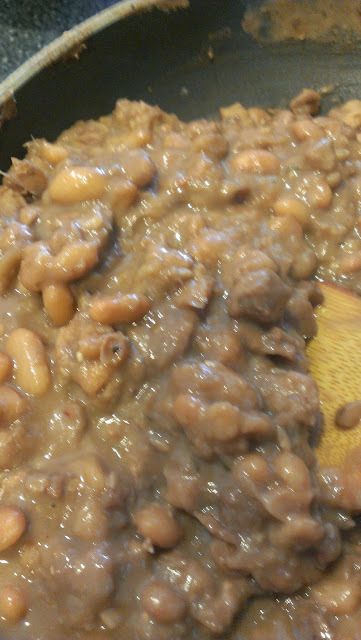 Quickly after incorporate all the beans, except by 1/2 Cup of the beans, blend them with some water. 5. 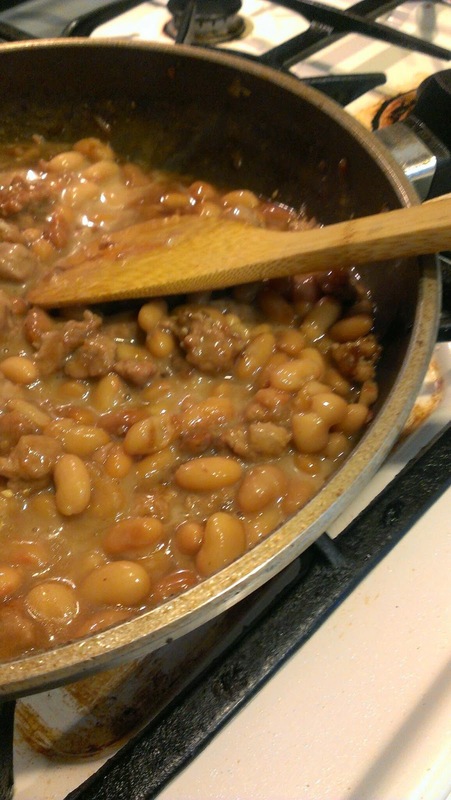 Stir the beans, warm them up and incorporate the blended beans. Stir? 6. Add the milk, and re season, taste to make sure of the flavors. 8. 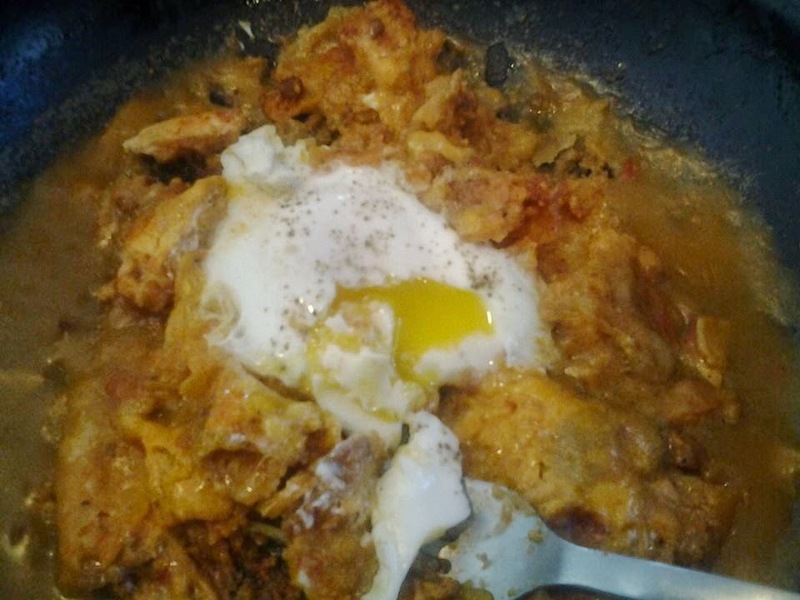 Serve hot with rice and a meat dish, or a fried over easy eggs. 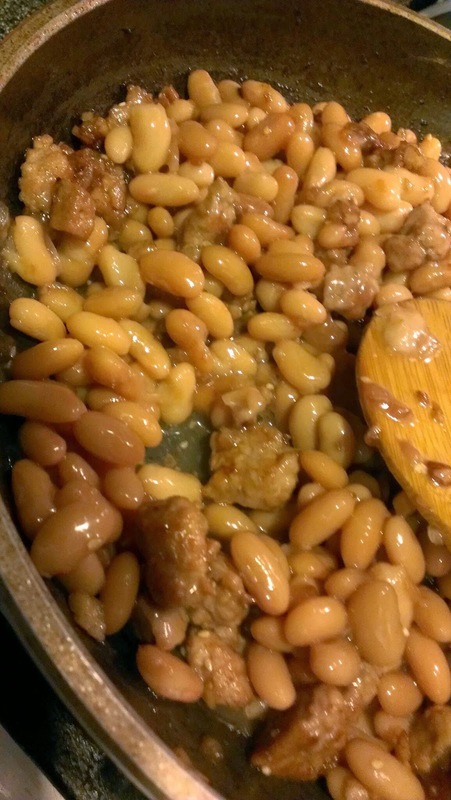 * My Tia cooked the beans with pork, I cooked them with oil, I used cubed pork steak, is cheaper. She used the pork that boiled with the beans. * if you are American this beans will remind you of the sweet pork and beans so popular in the USA, but i assure they will be a ton more tasty. * You could use bacon instead of the Pork. And Again thanks to the Tia Lidia, I want her to know that I remember her, and not just the beans but many other things, words, laughs, places, and jokes.